A thousand endings, you mean everything to me. Action, thriller, I could watch you forever"
First of the month! WOOOOT! Lets start with the Headset! These awesome ears are by Remarkable Oblivion. ^.^ These guys still blow my mind with the details. They have thought these out so well, down to the inscription behind the bent ear that gives it a feeling of being more real. They are out at FaMeshed which opened today! This beauty will be out for We <3 RP which starts on the 4th! This set will have two options to buy, the one will be all 18 of the makeups and 4 signature metals, the other will cost 50L more and will include the chance to get a custom colour for the makeup. There are a total of 4 brand new sets for this event! 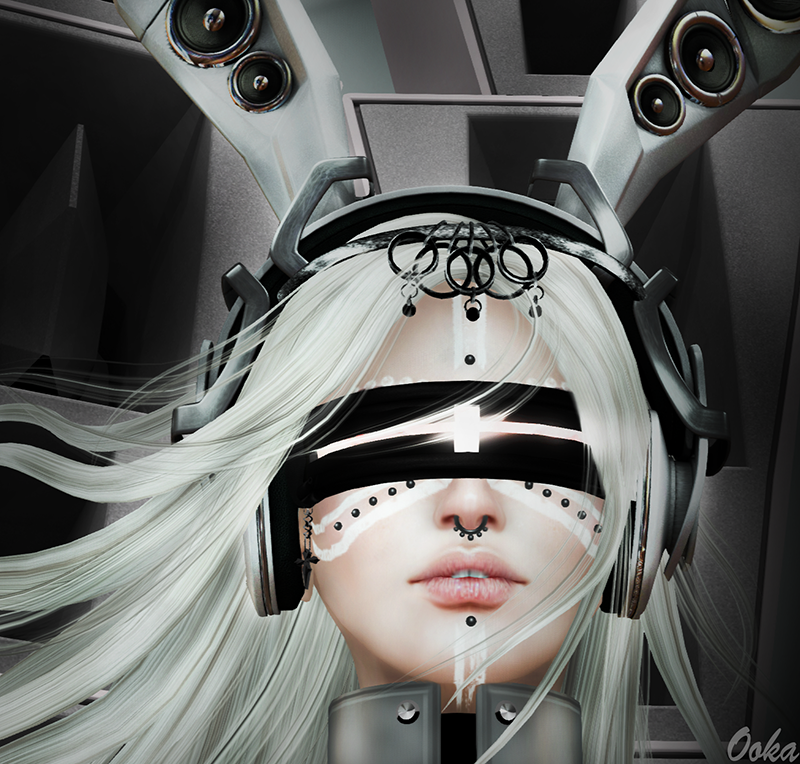 The headpiece on the AV with the white ears is by Zibska and will be at Game Of Thrones Gacha, which opens on the 6th! Hope the months off to a great start!